How well do you know ants? Answer the following questions by selecting true or false. Better yet, stump your family and friends by giving them the quiz. When you are done, you can find the answers below the photograph. 1. Some ants can explode when threatened by enemies, true or false? 2. Peony plants require ants for their buds to open into flowers, true or false? 3. All species of ants can sting, true or false? 4. Soldier ants are all males, true or false? 5. Ants can be used as stitches to close wounds, true or false? 6. Ants are silent, true or false? 7. Ants plow more soil than earthworms, true or false? 8. Scientists who study ants are called antomologists, true or false? 9. Certain types of caterpillars eat ants, true or false? 10. Ants plant the seeds of many wildflowers, including violets, true or false? 11. 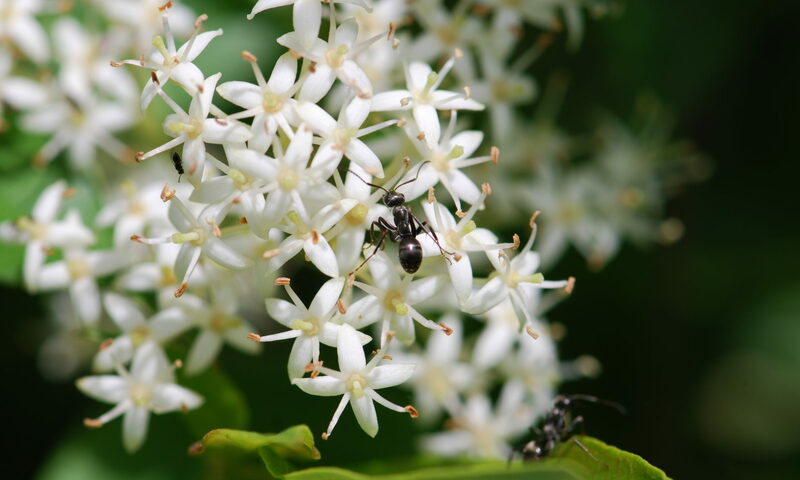 Ants pollinate many types of flowers, true or false? 12. Ant larvae can make silk, true or false? True: The soldier ants of the carpenter ant Camponotus saundersi swell up and explode all over their enemies. False: Although this is a common myth, the truth is that if you keep ants off the peonies by spreading sticky substances on the stems, the peonies will still open. The actual relationship is that the peony buds supply nectar to the ants and in return the ants keep off pests like caterpillars. False: Many species of ants lack stingers. They may spray formic acid or bite (or explode) to defend themselves, rather than actually sting. See the bite or sting post for more information. False: All worker ants are technically females and because soldiers are specialized workers, they are females. The only males are wasp-like forms that have wings and do now work inside the nest. True: Certain species of army ants with large jaws have been used as stitches or sutures to close wounds. The soldier ant is enticed to bite across the wound and it clamps down, closing its jaws. False: As scientists develop more and more sensitive equipment to record sounds, we are finding that many types of ants actually make a lot of noise. For example, R. Hickling has some recordings of fire ants squeaking (stridulating). Even more interesting, certain caterpillars make sounds to attract and communicate with ants. True! Surprised? 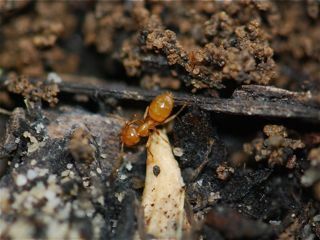 Ants nest in the ground and improve the soil by tunneling and adding nutrients. Earthworms were introduced to eastern North America by the early European colonists. They did not exist here before that. False. Scientists who study insects are called entomologists. Specialists who study ants are called myrmecologists, coming from the Greek word for ant. The Latin word for ant is Formica. True! Caterpillars of some butterflies, particularly blues, have complex relationships with ants and spend time in the ant nests feeding on ant larvae. True. Ants carry seeds around and drop them in their waste piles, which is an ideal place for seeds to grow. In fact scientists have shown there are far fewer wildflowers where ants are absent. False: Ants are not very good pollinators, although there are a few very specialized flowers that rely on ant pollinators. True: Ant larvae produce silk with glands in their mouths. Many species spin silk bags around themselves, called cocoons, when they are ready to pupate and change into adult ants.